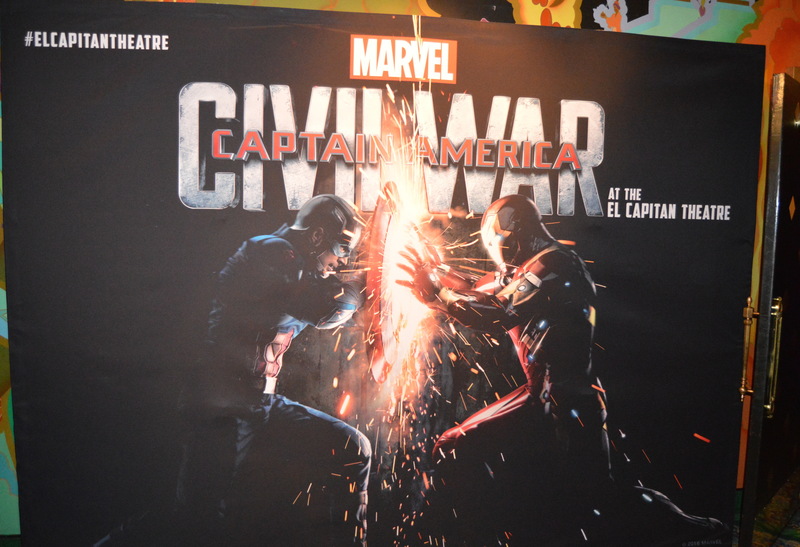 Home » Captain America: Civil War at the El Capitan! Captain America: Civil War at the El Capitan! 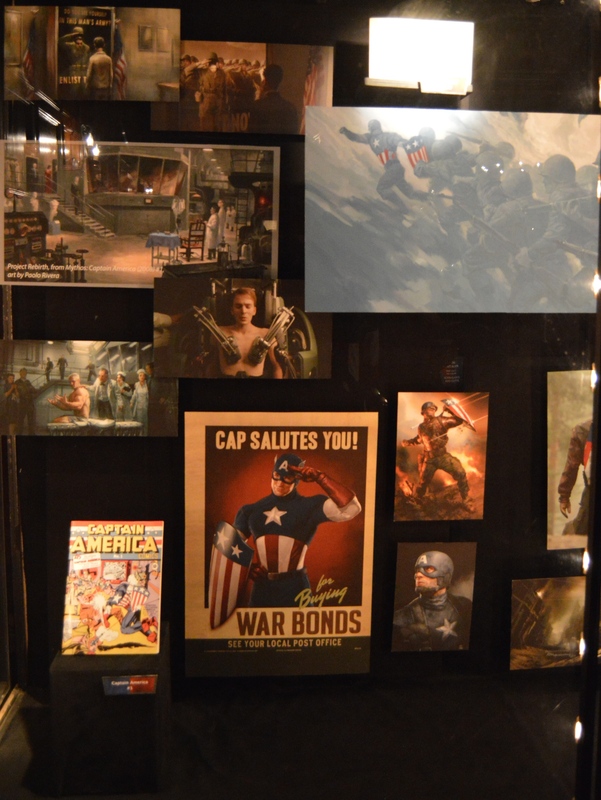 The El Capitan Theatre held The Ultimate Captain America Marathon on Thursday, May 5th hosted by Nerdist. It started at 7 a.m. with Captain America: The First Avenger (2011), The Avengers (2012), Captain America: The Winter Soldier (2014), Avengers: Age of Ultron (2015), and finally Captain America: Civil War. Marvel fans were treated to medallion for finishing all of the films and Nerdist brought in some surprise guests which looks like a certain Winter Soldier. 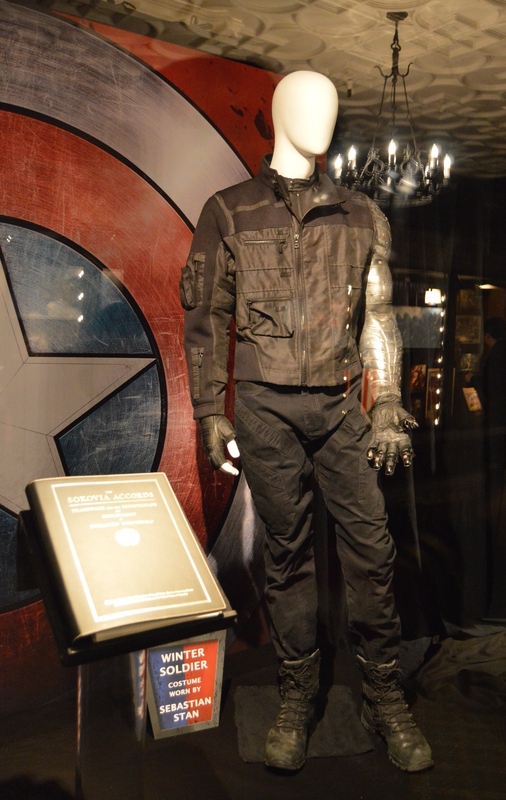 All of the showings of Captain America: Civil War has displays and merchandise that are unique to the theatre. 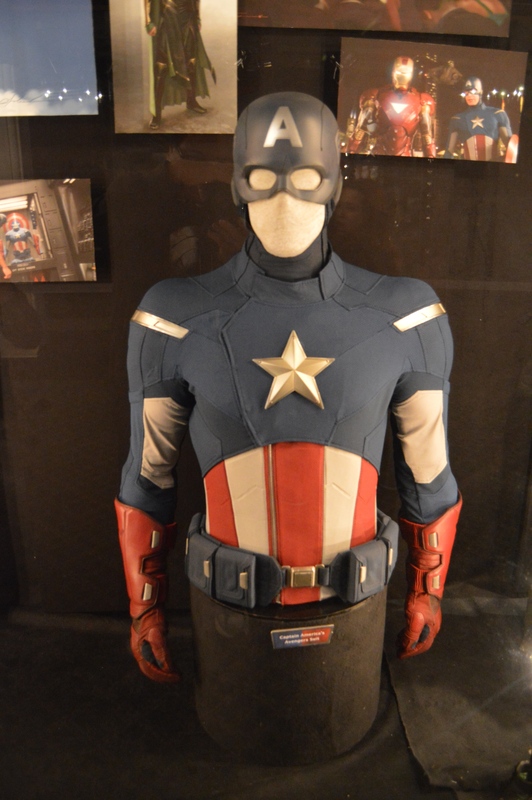 On the bottom of the stairs was the 75 Years of Captain America exhibit. 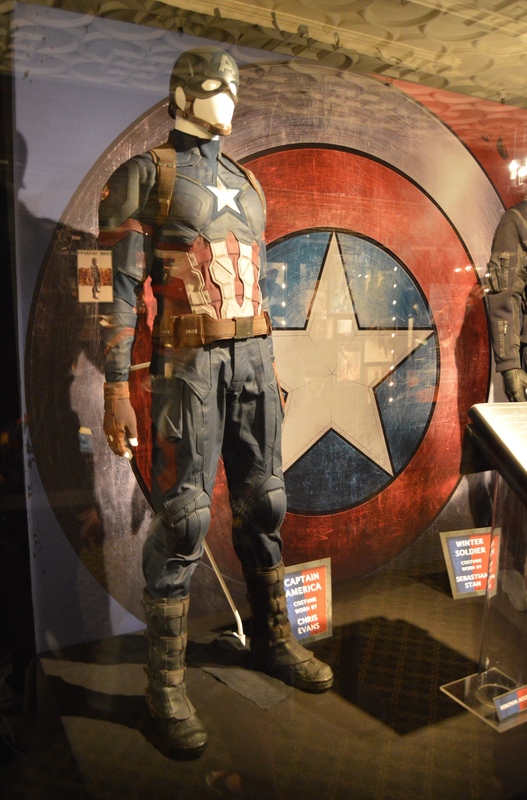 It has two walls of costumes and props. The exhibit begins with Captain America Comics #1 by Joe Simon and Jack Kirby. 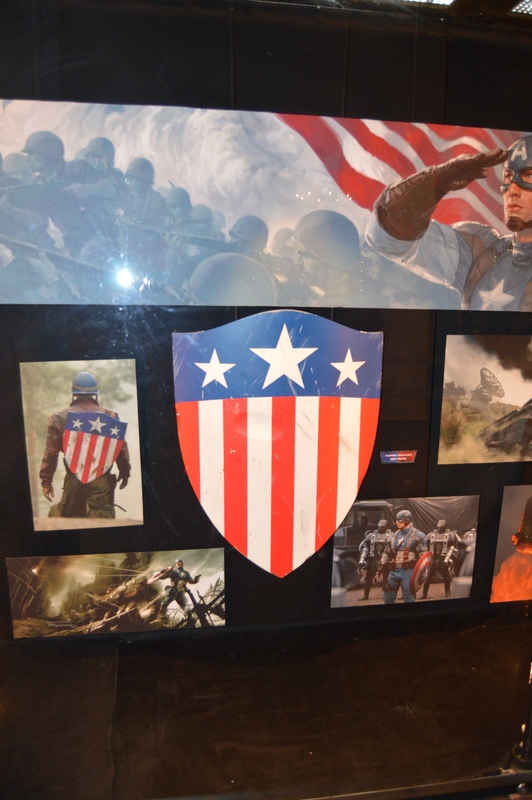 Next from Captain America: the First Avenger was Steve Rogers 4F Card, Captain America’s Compass with picture of Peggy Carter, and his USO shield. 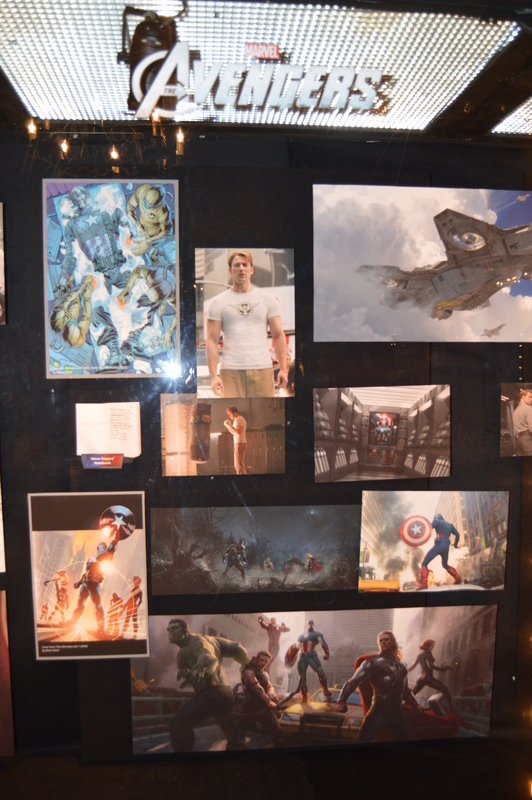 The Avengers panel has Steve Rogers’ Notebook and Captain America’s uniform from the film. 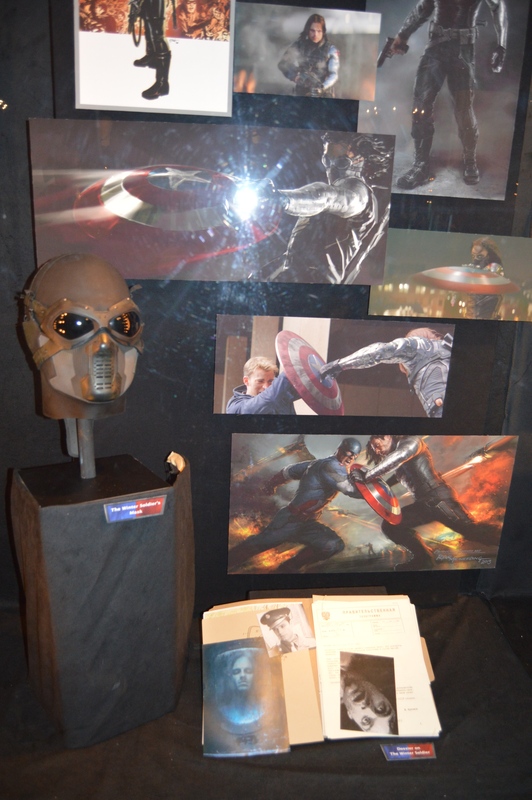 Captain America: Winter Soldier had his mask and the dossier on the assassin. 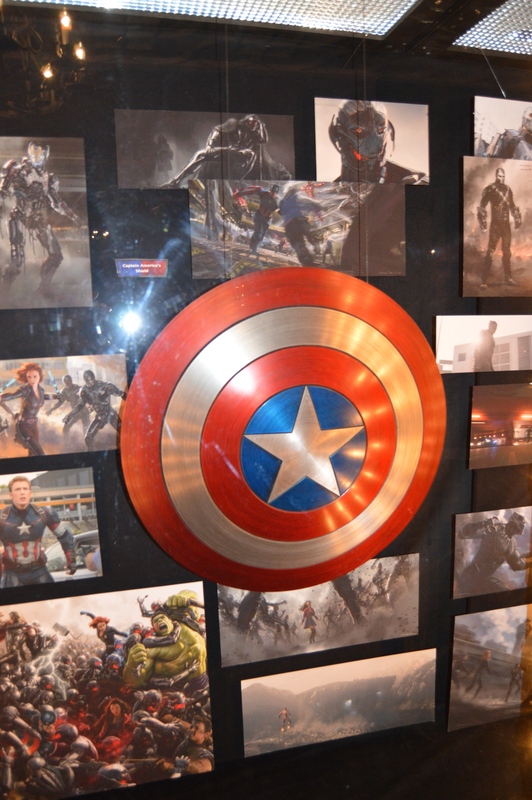 Avengers: Age of Ultron had Captain America’s shield. Captain America: Civil War had a display of the Hydra Code Book important in the film. 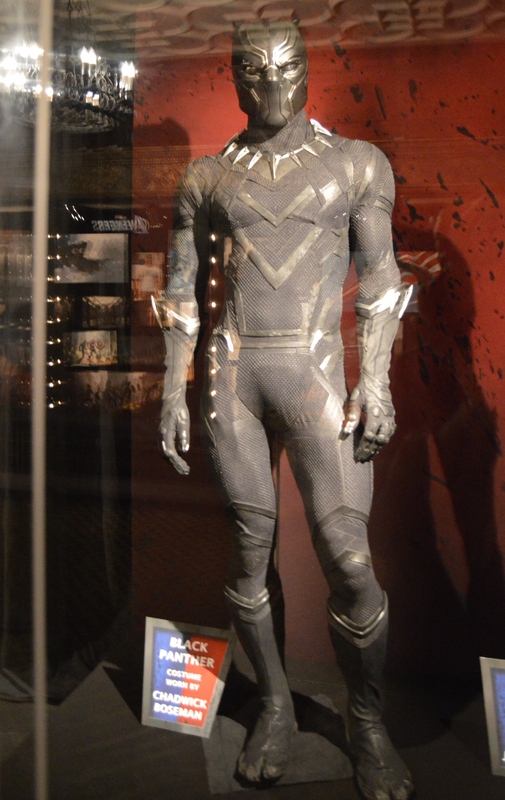 The opposite wall had many of the costumes of the film. 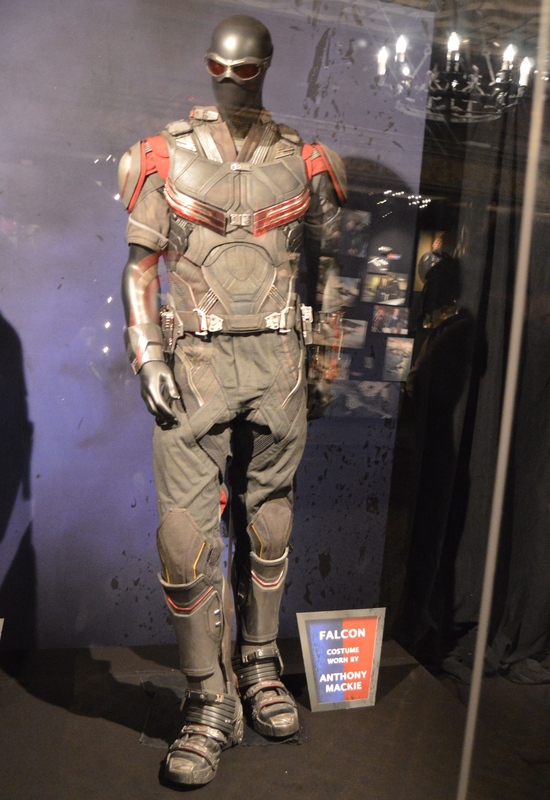 At the farthest side, turning from the wall of props, was the costumes of Ant Man and the Falcon. 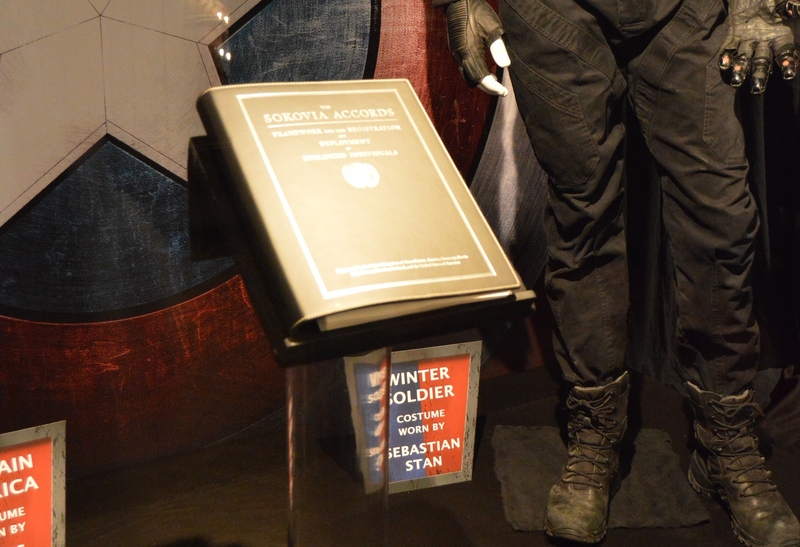 Captain America’s costume is separated by the Winter Soldier by the Sokovia Accords. 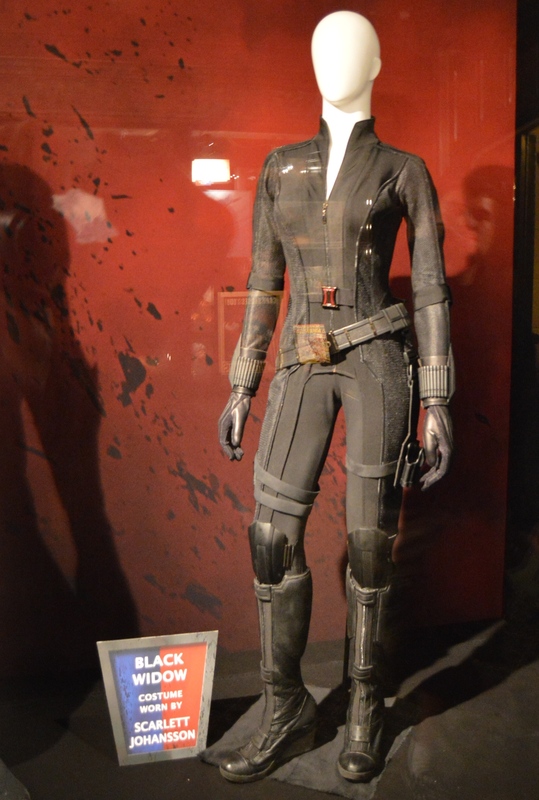 Finally, there are the costumes of Black Panther and Black Widow. 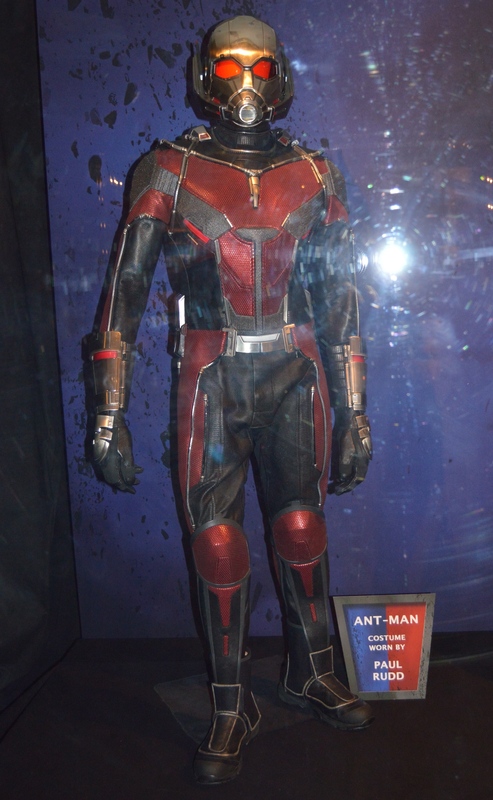 All of the costumes were worn by the actors and it is great to peer at the details. The theater itself had a giant Captain America shield on the left balcony and a large Iron Man mask on the right balcony. The El Capitan’s house organist, Rob Richards, is masterful at playing soundtrack tunes. 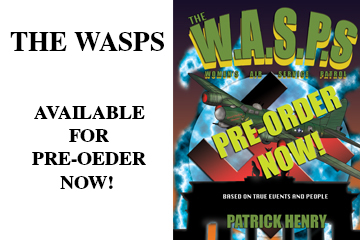 It is old style Hollywood that makes it worth the price of admission. He surprised everyone by revealing his Captain America t-shirt. You can pick up at the concession stand a metal popcorn tub and also a large drink cup that has Captain America, Iron Man, or Winter Soldier topper. Included on that Thursday was the Captain America: Road to War comic that was a El Capitan variant with a Todd Nauck cover. The comic was written by Will Corona Pilgrim with art by Andrea Di Vito. 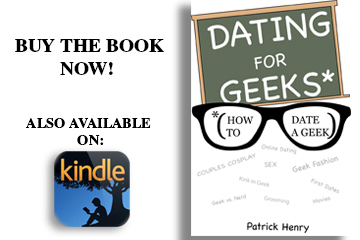 It covers a sparring session between Black Widow and Captain America discussing the new Avengers recruits. Hydra has been collecting the Ultron robots in Eastern Europe to form the massive Ultimo robot. Meanwhile, Tony Stark has built his Iron Man suit watch. El Capitan is the place to be for Team Cap and Team Iron Man!